Fees associated with filing trademark applications in Finland as well as other trademark fees are available in the fee calculator. Multiple-class trademark applications are possible in Finland. The POA is not obligatory, but may be requested by the Patent Office. A copy is sufficient. The submission of the priority document is not obligatory, but may be requested by the Trademark Office. The translation into Finnish is not required. Trademark registration in Finland shall take effect on the date of filing the application and shall remain in force for ten years from the registration date. It is renewable an unlimited number of times. The Finnish trademark application may be opposed by any interested person within two months from the date of publication of the trademark application. Trademark is renewable for ten-year periods. Request for trademark renewal may be submitted within one year before the expiration of the registration or within a grace period of six months after the expiration date. The trademark in Finland may be subject to cancellation if the trademark has not been used within five years from registration or has not been used later for a continuous period of 5 years. For foreign trademark applicants, it is necessary to perform the trademark prosecution in Finland through an agent, a trademark attorney registered in the European Economic Area. Registrable as a trademark are all distinctive and representable signs, such as words, names, acronyms, letters, numbers, devices, the three-dimensional form of a good or its packaging and any combination of the mentioned signs. Furthermore, the following trademark types may be registered: sound marks, as long as they are representable by musical notation, and combinations or shades of colours if they have achieved secondary meaning. 1. Online Search Databases: Finnish Trademarks, EU Trademarks, International Trademarks. 2. 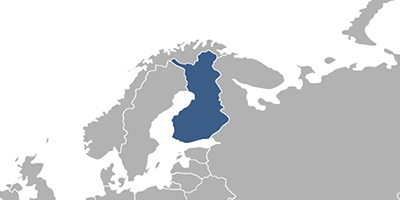 Trademark protection in Finland may also be obtained via registration of a European Union Trademark.